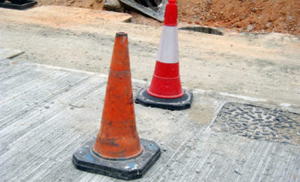 Chris Middleton for Diginomica: Anyone who’s been stuck in a gridlock during road repairs knows that maintaining our essential infrastructure can disrupt daily life for millions of people. Repairing tarmac, rail networks, gas or water mains, cables, sewers, street lights, traffic control systems… the list goes on at ground level or beneath it. Meanwhile, fixing bridges, towers, and wind turbines presents its own set of challenges. In crowded cities, disruptions can be long-lasting, expensive and frustrating. More, they often reveal how inefficient our systems are. The economic impact can be massive, and yet our infrastructures demand continuous building work, inspection, repair, renewal, and upgrading in order to prevent a worse type of disruption: critical failure.